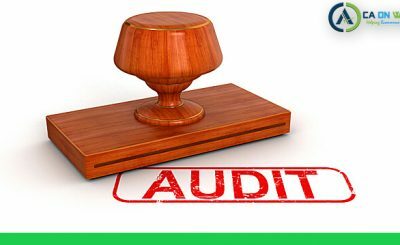 An audit is the inspection of an individual or any legal entity’s books and accounts. In any audit, accountants verify that a company’s business transactions were recorded accurately, and provide a true and fair reflection of that company’s financial situation. Two major audit comes to our mind which are ruled by company law and income tax laws. 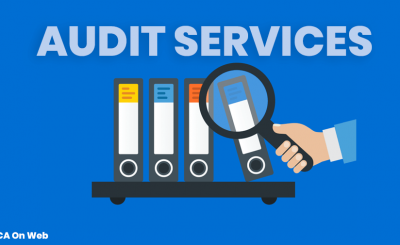 Businesses which need audit service in India reaches out to tax professionals such as Chartered Accountants. A statutory is made mandatory by company law. All companies registered under companies Act shall get their accounts audited. Even the Audit of a new company is therefore mandatory irrespective of turnover. The main objective is to provide opinion on the truthfulness and fairness of accounting records. The appointment of auditors, his removal, rights and duties, remuneration, are set according to the provisions of the law, as applicable to the organization. In the case of companies, the auditor is appointed by the shareholders at the annual general meeting (AGM), and the remuneration is also fixed by them. 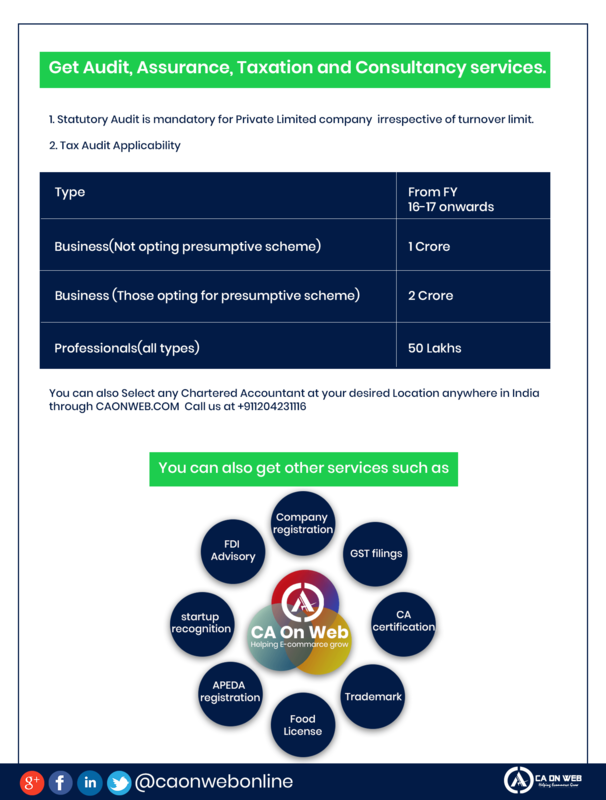 Companies registered under The Companies Act, 2013 needs to get their accounts audited by a qualified chartered accountant who is qualified to do the audit. 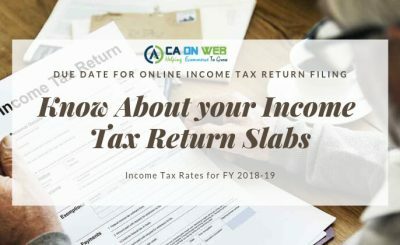 Tax Audit is defined as an audit of the accounts of the taxpayer, by a Chartered Accountant, for the requirement of Section 44AB, in which the auditor needs to express his views and observation by way of the audit report. An audit which is held mandatory (from financial year 16-17 onwards) for- Business (Not opting presumptive scheme) 1 Crore, Business (Those opting for the presumptive scheme) 2 Crore, Professionals (all types) 50 Lakhs. At CAONWEB, we provide services from company incorporation and all audit solutions.